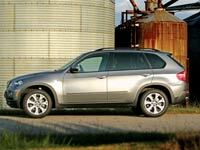 Like its predecessor, the second-generation X5 disappoints when it goes off the beaten track. Instead of offering a height-adjustable air suspension, it can be had with such pavement-oriented goodies as active steering, adjustable antiroll bars, and switchable dampers. Instead of mechanical differential locks, it features the latest version of the electronically controlled torque-split-by-demand xDrive four-wheel-drive system. And instead of a low-range transfer case, it boasts a new six-speed manu-matic. The key chassis-related innovation is a new multilink front suspension that provides a smoother ride and better handling. 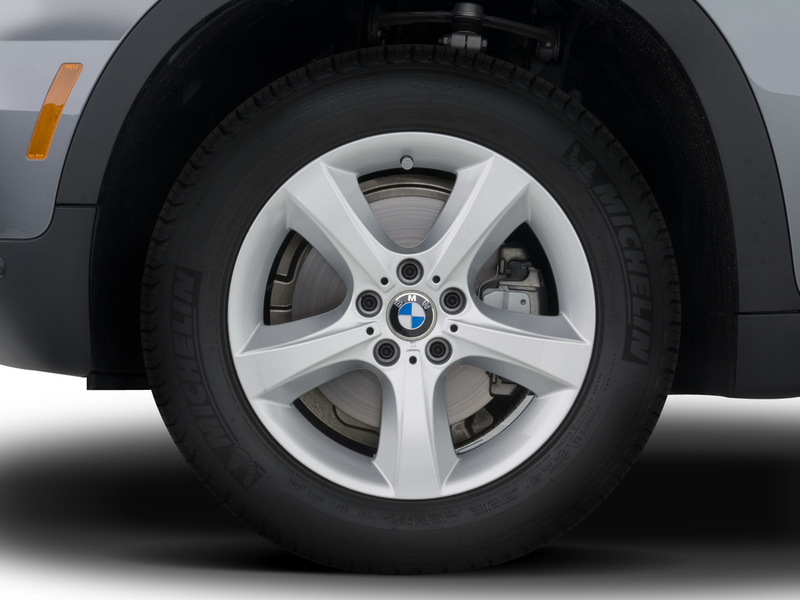 Even when the X5 is equipped with the optional $3600 sport package, which includes extrastiff 255/55HR-19 Michelin Latitude run-flat tires, active roll stabilization, and electronic damping control, it responds to arm-thick transverse ridges and crater-deep potholes in a much more compliant manner than it did before. Compared with the Mercedes-Benz M-class–its chief rival that is built around the corner in Alabama–the new X5 is still a little firmer, edgier, and more aggressive in the way it translates driver inputs. The four-wheel air suspension offered on the previous model has been dropped due to low demand, but air-sprung rear wheels are standard with the V-8-equipped 4.8i and available on the six-cylinder X5 3.0si. 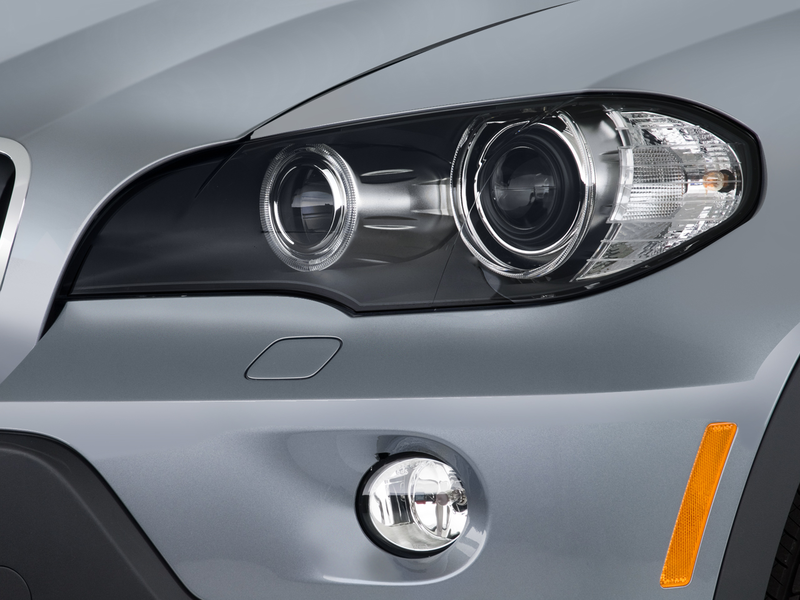 As always, BMW‘s active steering is an acquired taste. 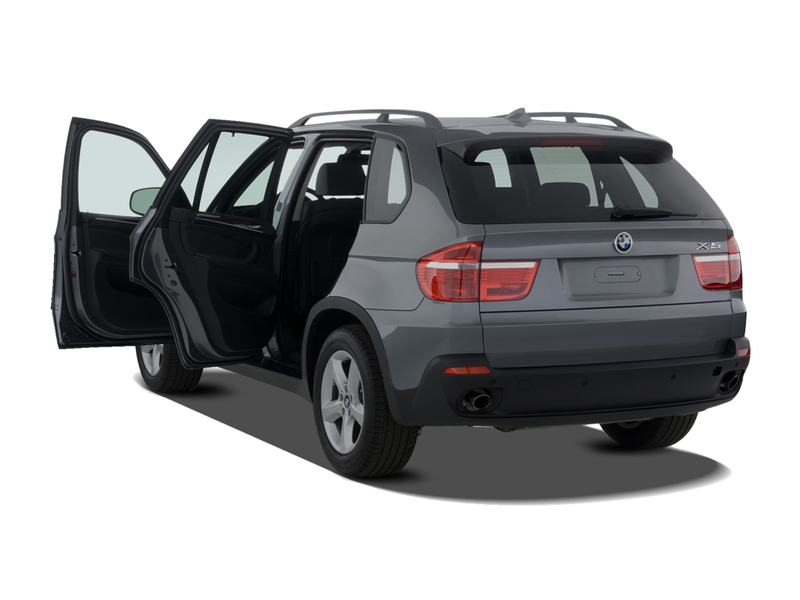 It makes maneuvering the X5 nearly effortless, but expect a learning curve before you’re able to dial in precisely the appropriate amount of lock at any given speed. While the active antiroll bars do their thing all by themselves, the driver can stiffen the damper setting by hitting the Sport button. 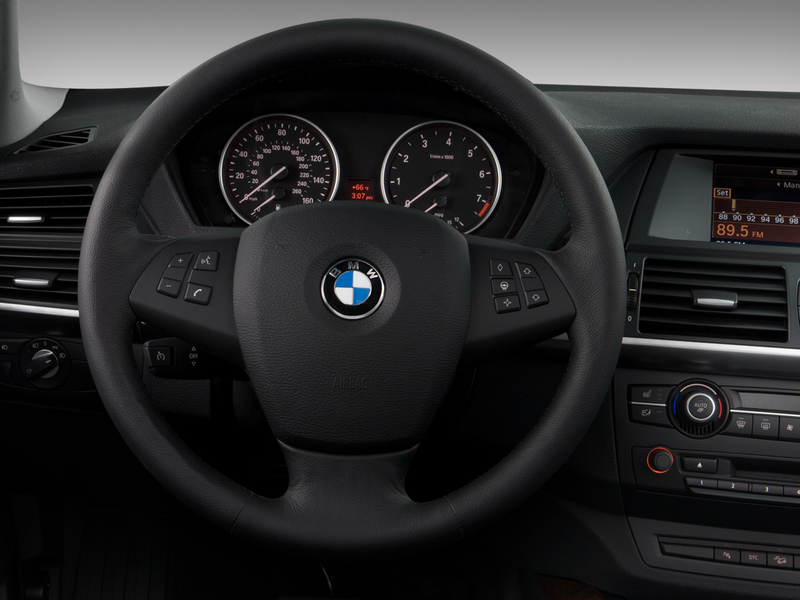 New to the BMW community is the center console-mounted electronic gear selector that operates the six-speed transmission. Its shift pattern has the automatic gate on the right and the manual mode on the left. This two-finger actuator is truly intuitive in the way it works, provided you remember to push for manual downshifts and pull for upshifts, M5-style. 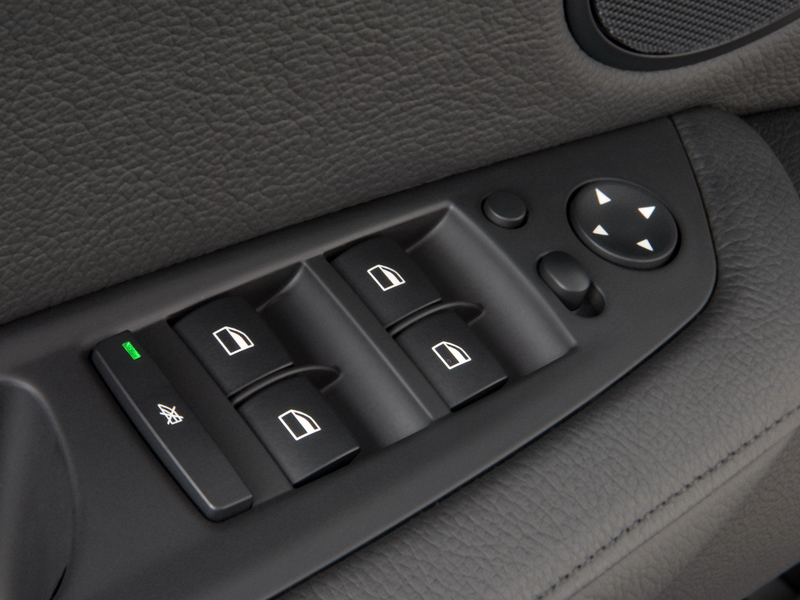 Although the gear selector is well placed, the iDrive controller sits too far back, so your hand doesn’t fall on it naturally. 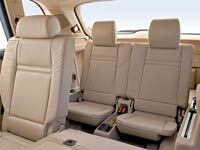 It also feels cheaper and less precise than its passenger-car counterparts. The whole iDrive philosophy remains controversial, but the X5 gets six programmable buttons for often-used iDrive functions. You can store phone numbers and navigation destinations, or you can directly access your favorite source of entertainment. 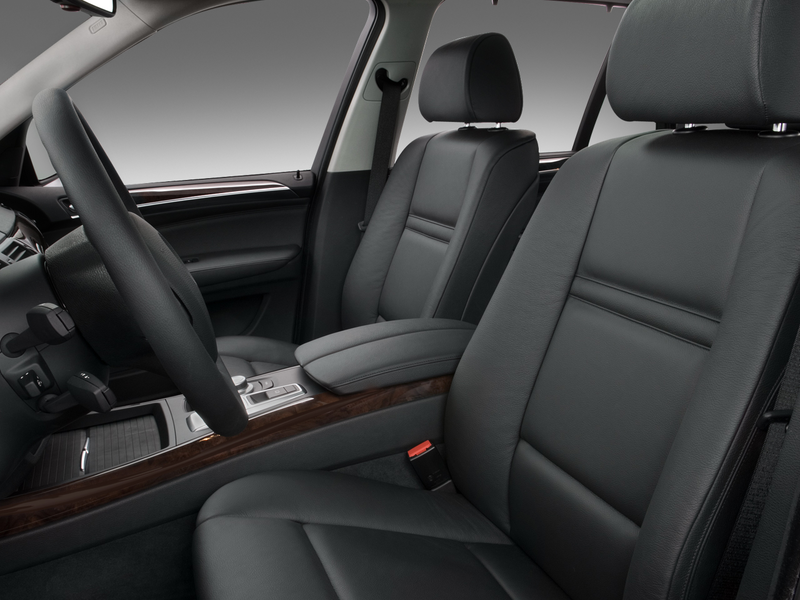 Ergonomically pleasing and attractively styled, the X5‘s interior has lost little of its class and quality. Highs are the lovely round instruments, the tasteful mix of materials, and the large, in-dash color monitor; lows are second-rate plastics here and there, the pointless insert-key-then-push-button starter, and the absence of shift paddles. 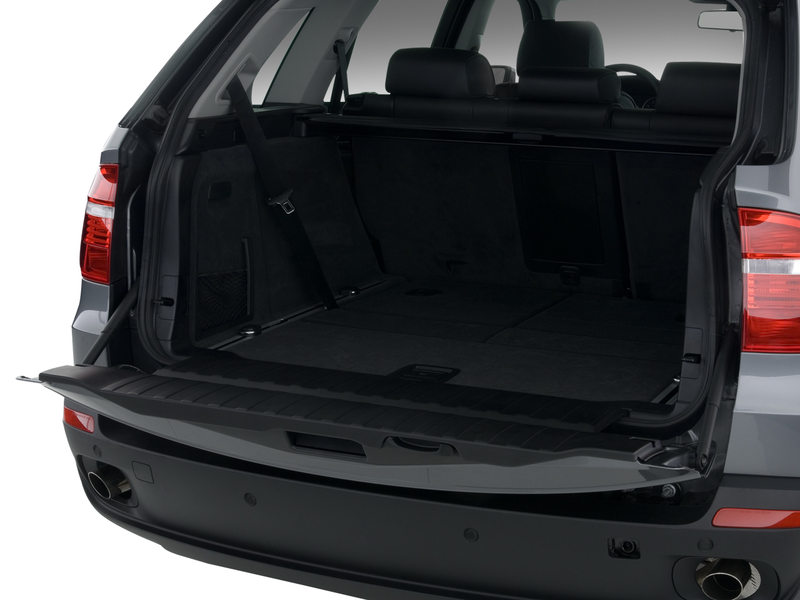 Thanks to a 4.5-inch increase in wheelbase, a 7.4-inch-greater overall length, and 2.3 inches more width, the X5 offers more shoulder and legroom, an optional third row of seats, and 2.8 cubic feet of additional cargo volume. The symmetrically split-folding rearmost bench, which adds $1200 to the price of the X5 4.8i ($1700 to the X5 3.0si), is easy to erect and fully adjustable, but only physically fit short people will care to sit in it. 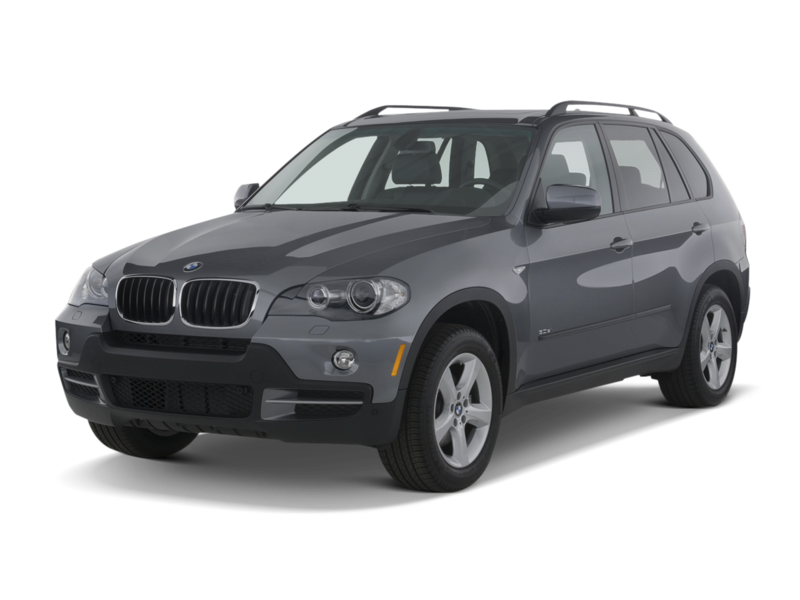 The new X5 does not come cheap. The 350-hp V-8 version costs $55,195, some $8600 more than the lesser-equipped, 260-hp X5 3.0si. 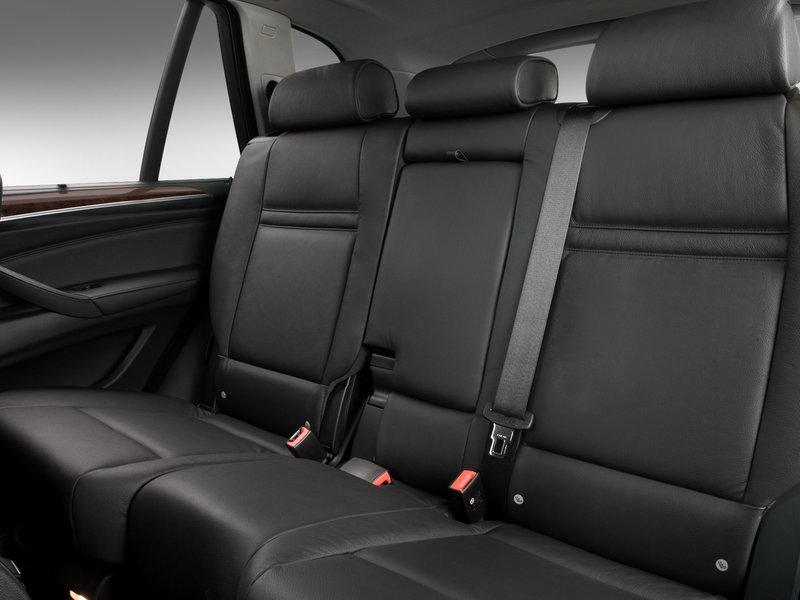 The various option packages can add $15,400 to the grand total, and with stand-alone add-ons such as rear-seat entertainment, premium leather, and keyless access, you’re looking at nearly $75,000. 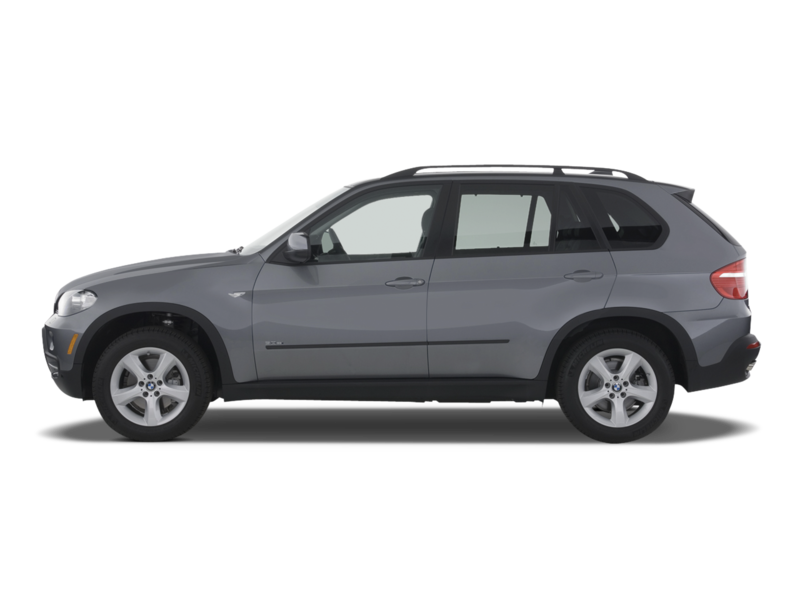 Yet even when it’s fully loaded, the new X5 is rather low on bling–by street-cred standards, there is too much black plastic and not enough chrome. 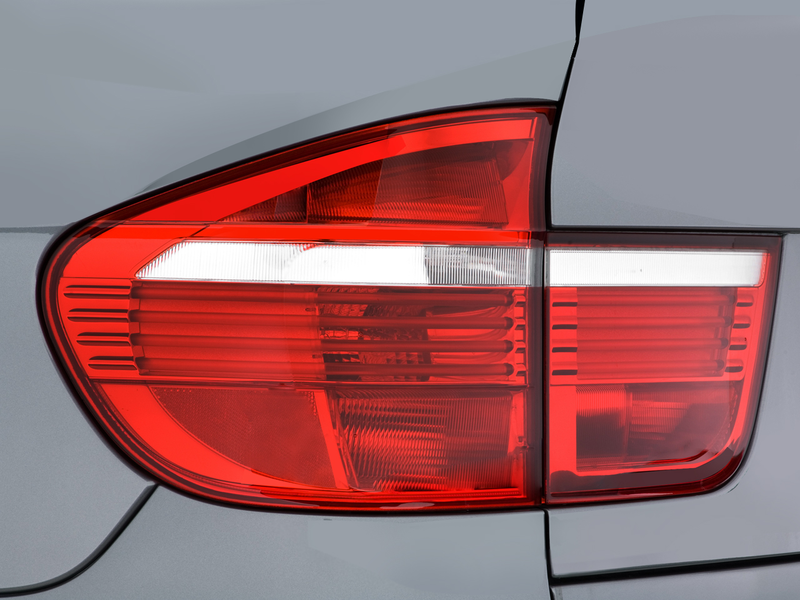 But the proportions are perfect, the surfaces flow beautifully, and the cutlines have been calmed down considerably compared with other recent BMWs. Dislikes? 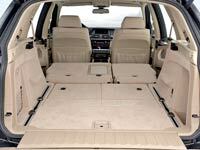 The carryover split tailgate can be a nuisance when heavy loads are involved, the curb weight of the admittedly stiffer vehicle has gone up by a considerable 408 pounds, and when you travel with seven, the cargo compartment measures only 7.1 cubic feet. 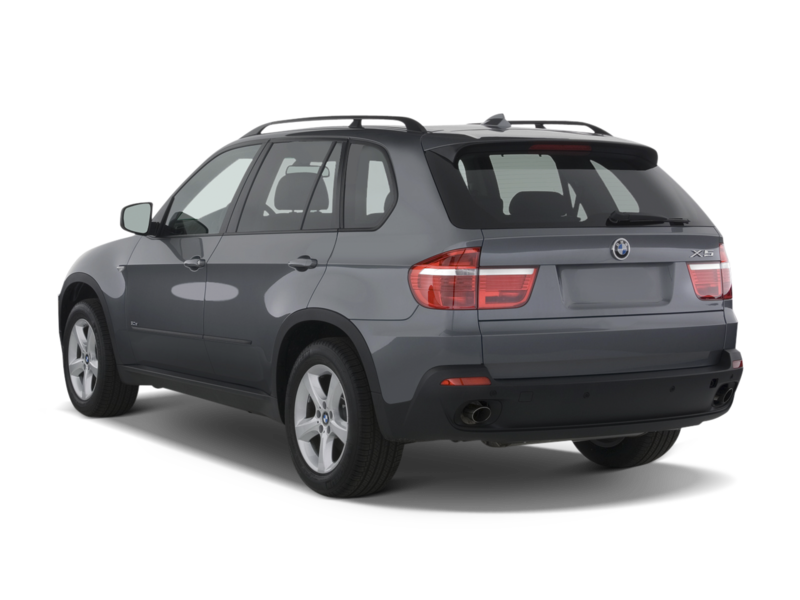 What makes the new X5 stand out in the crossover community is the way it performs, handles, and holds the road. 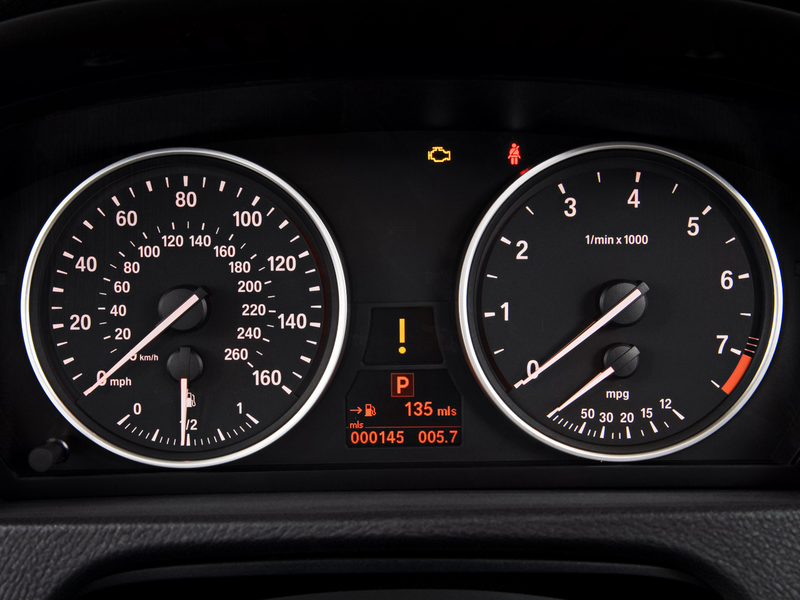 According to BMW, the 4.8i accelerates from 0 to 60 mph in 6.4 seconds, and with the proper tires it can top out at an electronically limited 150 mph. Our test car averaged only 11 mpg, suggesting that the official 15/21 mpg estimate is theoretical. 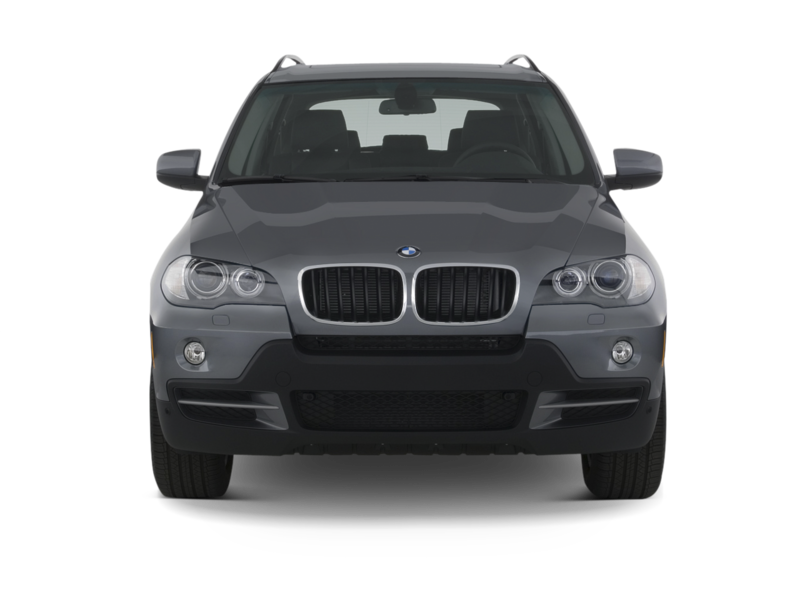 In exchange, the X5 provided the kind of driving pleasure we would have expected from a 550i wagon–despite the greater weight and higher center of gravity. Because of adaptive drive, body roll is never an issue, nor are squat and dive under acceleration and braking. And beefy twin-piston brakes provide drama-free deceleration.Upcoming engines are bound to further enhance the X5’s appeal–a hybrid drivetrain developed with General Motors and DaimlerChrysler, a turbocharged V-8 good for more than 400 hp, and a 300-hp, state-of-the-art twin-turbo diesel. 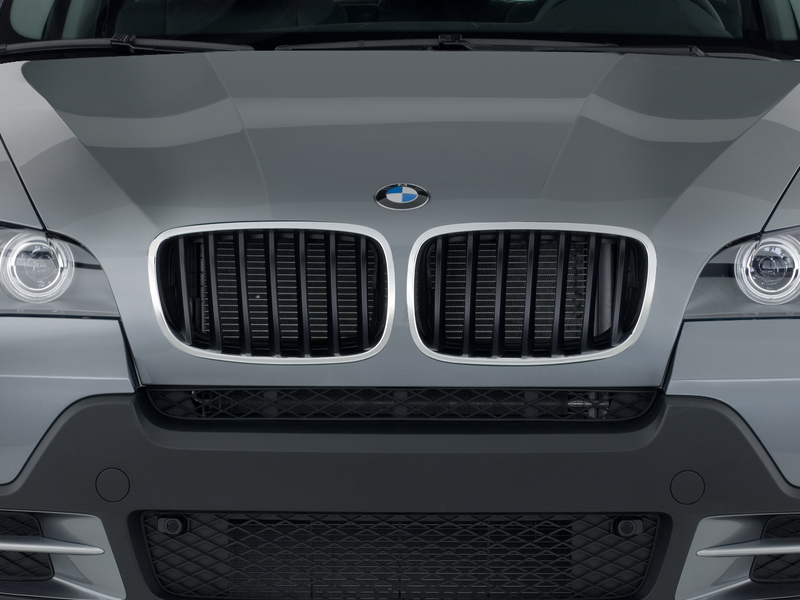 Not to mention the all-new X6, which will carry the DNA of the X5 in a four-seat coupe wrapper starting in early 2008. NA / 61.8 cu. 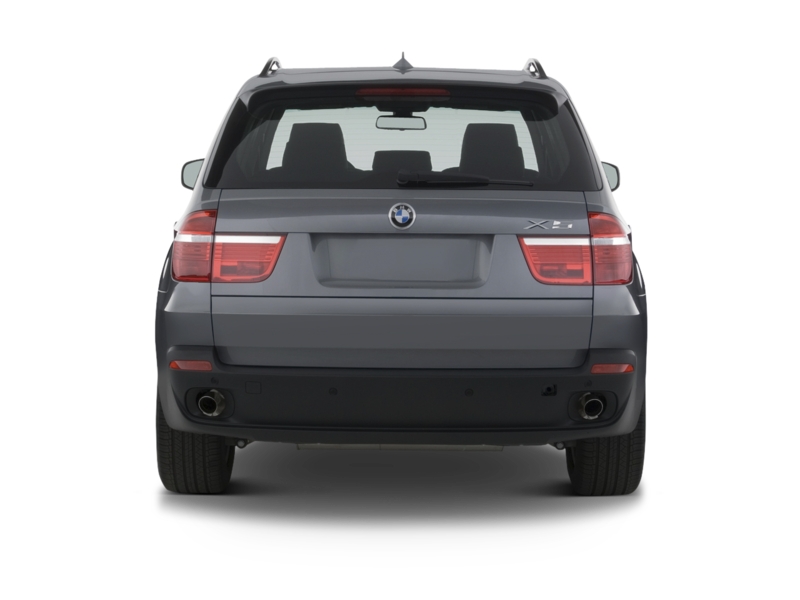 ft.
We enjoyed the X5’s performance and functionality, but our experience with it was severely compromised by an unacceptable series of mechanical and electronic malfunctions and a perception of material cost-cutting.